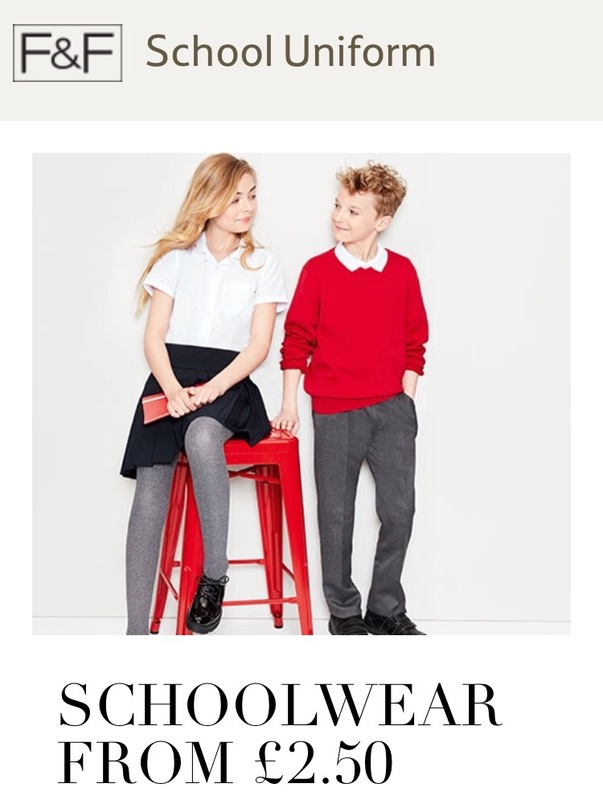 I always do the majority of the school uniform shopping online as I can never find the right sizes in the shops. This year I had pre-saved the money for their uniforms and decided that I’d order it early so I could relax knowing it was all brough! I had looked at Matalan as I love their clothes but they came out quite a bit more expensive than Tesco and I struggled with the sizes I needed. Both Maycie and Frazer are in full time school in September and Eadie will go up to nursery in November, so for now I only needed to worry about the older 2. I do have bits and pieces left over from last year but I like them to start the year with 4 sets of outfits each. For Maycie I brought 4 cardigans, 4 pinafore dresses, a pack of 5 white polo shirts, a pack of tights and a pack of socks all from Tesco. The dresses are excellent quality and fantastic value for money, the sizes are pretty spot on, I ordered her a 4/5 year olds and it fits her nicely with a bit of growing room , even though she won’t be 4 until the end of the month I do think they will fit her until the end of the year. The cardigans are £3 each and have lovely details on the trim, they are quite thin but do wear really well and don’t go out of shape. The polo shirts are £5 for a pack of 5 which is amazing value, again this is the same as we had last year and they wash really well without stretching or going out of shape. Frazer is a typical boy and loves to be outside climbing trees and sliding on his knees so his uniform is really put to the test. Last year his trousers really held up to the test and apart from needing reheaming they needed no maintenance at all, I think the reinforced knees helped so I was really keen to buy the same this year but I could only find them in grey so went for that. They come in a 2 pack for £6 and have the elastic on both sides of the waist band to adjust them even down to fit Frazers skinny waist. I decided on pullover type jumpers rather than sweatshirts this term as they had the navy blue rather than the royal blue which I found stained really easily. They do feel thin, which will be a bonus for fitting under a coat in the winter, the ones I purchased were £3 each. Because my order was over the minimum spend my delivery was free to my home and it arrived within a couple of days. I like the children to have a thick “school” coat which they can get mucky and then a “posh” coat for weekends and Asda is fantastic value! The girls chose their own coats and decided on matching, they are shower proof and feel lovely and thick and warm, they come with attached mittons which will probably be lost by September 7th but look lovely for now. 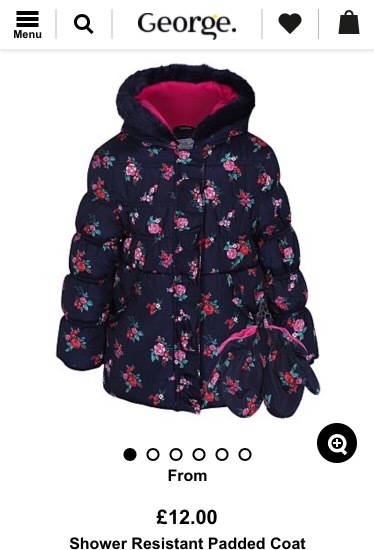 I ordered a 3-4 year £14 and 4-5 £16 Asda is one of the l few shops I’ve found which sell the “between” sizes, most other places sell 3-4 then 5-6 years old and I really struggle to find a nice fit for both the girls. Frazer opted for a navy blue coat which feels just as warm and has reflective patches on the back £16. Again delivery was free as I spent over the threshold and they arrived within 4 days of ordering. The last thing we had to buy was shoes, I knew Eadie had a growth spurt as her size 6 trainers we brought her a few months back feel too small, so we took the children to Wynsors in Stockton. 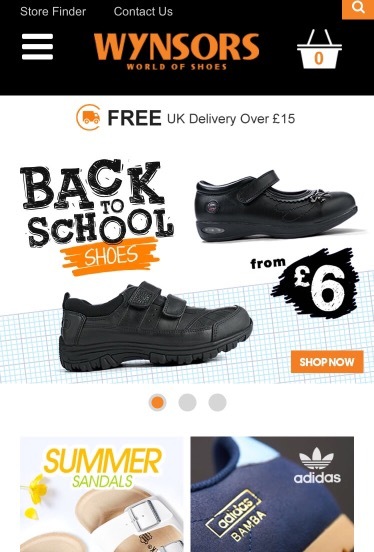 We were both really impressed with the range of items they sold, they cater for all budgets with school shoes starting at aroun £7 right up to Kickers and a few other top brands. We’d been in the shop all of 20 seconds when Maycie set her heart on a paid of leather “dolly” shoes with a strap across the top and pink flashing lights that you can turn off and on, at £16 they feel thick and sturdy and she loves them. Frazer was so much more difficult and we had a debate in the shop before deciding on some Velcro strapped shoes £8 for when he goes back and a pair of “monkey boots” £14 for when the winter weather sets in. We also managed to pick up a pink book bag for Marcie £1.50 and a drawstring bag for Eadie £1.50 which are excellent value for money. My purse is no longer crying and I can relax for the last 2 weeks of the holidays, well until I try them on them and they don’t fit that it! Oh I feel your pain! We have already been back for a couple of week, but my biggest issue this year was that school uniforms didn’t fit Chris this year! So instead of getting the usually 2 for £10 Tesco school trousers and the cheap shirts – he had to get MAN CLOTHES!! so we were about 3 times the price! I hate that school clothes stop at 15 (and he was wearing these age 13) when they are at school until 18/19!! Previous Post What do I want to be when I grow up? : My 5 year plan!